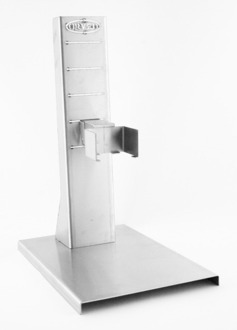 Anchor system with notches to regulate height. 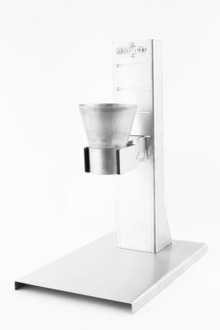 Facilitates the insertion of liquid, powdery, or granulated materials into vacuum bags. 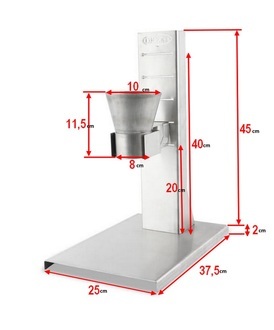 Large pedestal allows positioning of a balance to better calibrate weight of product to be packed.